- The mendiants or beggars: nuts, almonds, dried figs, hazelnuts, grapes, apples, pears and prunes, and sometimes even quinces and persimmons. 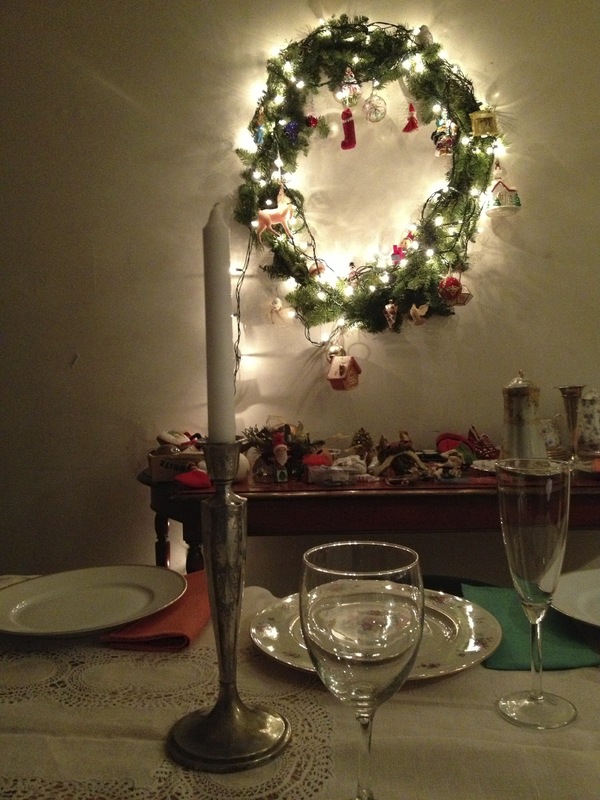 The Yule log has been on the calendal table for several decades in memory of the cacho-fio ceremony. Afterwards, in order to find some energy coming back from the midnight mass which consists in muscat grape seeds macerated in brandy, cherry ratafia or carthagène - a brandy-based wine, and is often prepared in people’s cellars. When it comes time for dessert, each guest must taste all 13 with Sauternes or muscat wines with them. 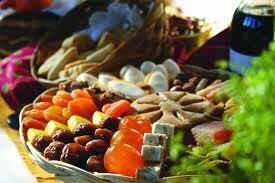 In the French countryside, whether or not the dessert table is elaborate depends on a family’s income. I found a quote from a chef who said, “You know, it is like if you make minimum wage, you have an apple. If you make more money, you have tarte Tatin." So from our table to yours - Joyeuse Noel! This past year has had its ups and downs for me, but truth to tell while the ups have been lovely, they were few and mostly far between, while the downs have been pretty low. There are years like that in one’s life. I don’t really blame my bad moments of this past year on the number thirteen, but I have to admit it crossed my mind. Several times. 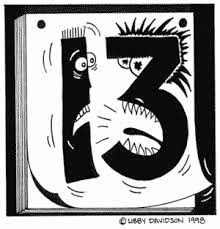 I am not among them, but there are serious triskaidekaphobics in the world. 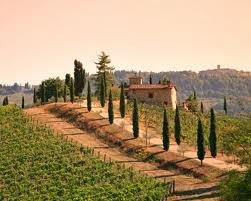 I met one once at a dinner party in a beautiful house on a hilltop in that paradise called The Chianti. Around the table were twelve people enjoying the beauty of the food, the wine, the setting. 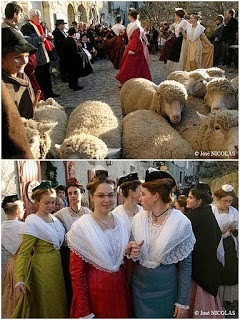 The guests were friends of my hosts and members of a rarified social circle of old Tuscan families. Between the main course and dessert, a grandson of the hosts dropped in to say hello. His grandfather and I moved apart and made room for the young man to pull up a chair and join in. 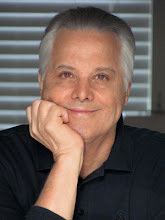 As soon as he, the thirteenth person, sat at the table, a local doyenne at the other end popped up, and holding her white linen napkin to her breast, made a face as if she had been threatened with a lightning bolt. She refused to be among thirteen people sitting at a table. 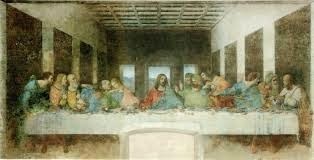 This variety of thirteen superstition is based on the Last Supper. It is an insult to seat thirteen around the table because it implies that one of them will turnout to be a traitor. There is also the fear that one will soon die. I say "Poppycock," but evidently the lady with the napkin thought differently. The host had no choice but to banish the beautiful young man to a corner of the room. 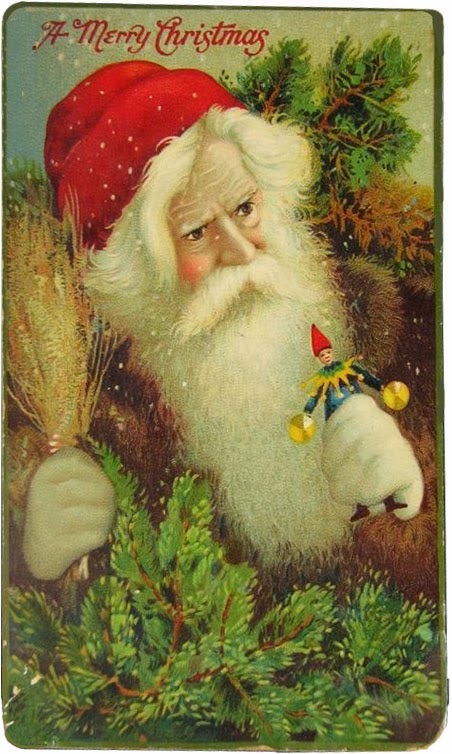 Other superstitions about thirteen predate the birth of Christ. 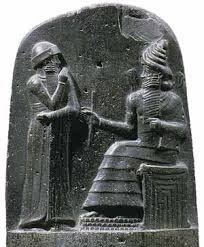 There was a myth about the code of Hammurabi (1780 BC), that the thirteenth law had to do with the death of the seller before a sale was consummated. Oh,oh! The number thirteen is associated with death. In ancient Persia, they thought that the constellations of their twelve-month Zodiac would each rule the planet for a thousand years, and then in the thirteenth millennia the world as we know it would collapse into chaos, which, I suppose may yet happen, but there isn't much time for that in what remains of 2013. Then there are old Norse myths in which the thirteenth god, Loki, arranges the death of Balder, the son of Odin. And the brother's Grimm made it the thirteenth fairy who wickedly cursed Sleeping Beauty at her baptism ceremony. 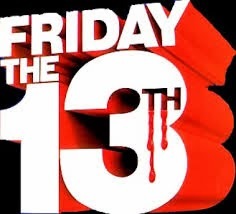 At the end of the Nineteenth Century, high level Americans, beginning with a group of New Yorkers, decided to fight the superstition, especially as it surrounded the fear of Friday, the 13th. Soon there were Thirteen Clubs throughout North America, where thirteen members met on every Friday the thirteenth in room thirteen of a hotel at 8:13 PM. Five US Presidents beginning with Chester A. Arthur up until Teddy Roosevelt were members. They didn't make much headway. “Thirteen” still sounds like bad luck. For instance, there are still many buildings--offices and apartments-- all over the US that skip the number 13 when numbering floors. Does it occur to people who live or work on the 14th floor that they are really on the thirteenth? I myself, do not blame any of my difficulties of the past year on the number thirteen. I am however looking forward to 2014. Fourteen seems to me so much nicer a number, optimist that I am. We have a new community tradition in New York. 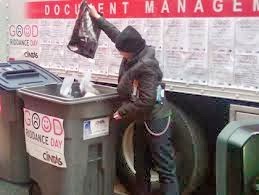 I am writing this on New York's Seventh Annual Good Riddance Day. We celebrate it by going to Times Square, taking along bad memories of the year, represented by pieces of paper--CAT scans, Dear John letters, foreclosure notices. 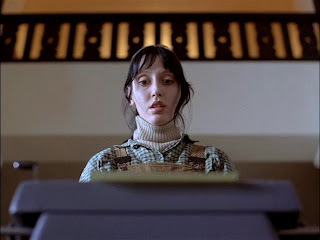 There is a shredder in the square where we can consign the bad news to oblivion. What a great way to symbolically jettison the past and look to the coming year with hope. So my wishes are for all of us. 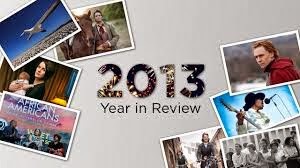 If your 2013 was like mine, not one of your favorites, I wish for much better days ahead for us both. Even if it was a banner year for you, I hope 2014 will be twice, three times, ten times as good. Twas a Mystery Writer's Belated Night Before Christmas. To all of you from the many different corners of our world who so kindly follow us on MIE the very best of the Holiday Season, no matter how you may choose to celebrate the time. For many of us it’s all about family traditions, and as I’m blessed to be part of the MIE family I have a little tradition of my own I like to sneak in here during the holiday season. 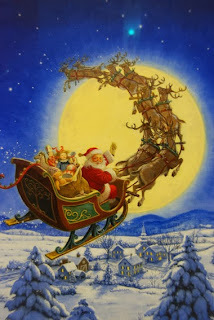 It’s a little something I composed for my Christmas Eve post a few years back and thought you might like seeing again, updated to include the new members of our MIE family. 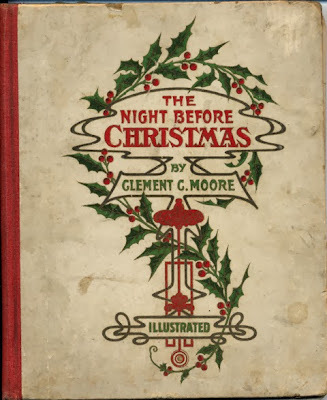 I take great pleasure in brutally fracturing the classic poem, “Twas the Night Before Christmas” by Clement Clarke Moore or Henry Livingston—history is still not sure who wrote it, so apologies to both. Not a laptop was stirring, nor even a mouse. In hopes that new readers would soon find them there. While visions of best-seller danced in my head. Had just settled our brains for the hiatus nap. Tore open the browser and dove in with a splash. 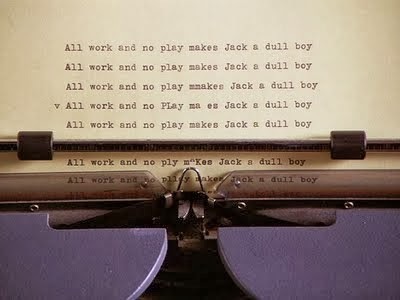 A lustre of brilliance onto writing so-so. 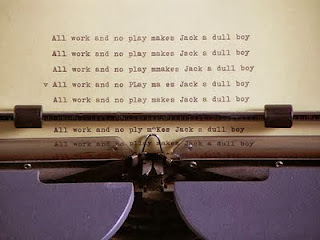 But the sight of a blog with ten writers so dear. I knew in a moment he hailed from Brazil. “Now, Kubu! now, Aimee! now, Charlie and Thora! On, Kaldis! On, Duarte! on, Bishop and Ellie! To the top of the Times! to the top of them all! When they meet with an obstacle soar to the sky. 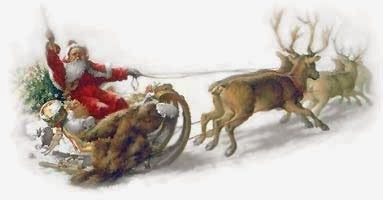 With a sleigh full of ploys, and opinions not few. Brought on by hard thinkers from near and far ‘round. In bold clothes that were tarnished with gashes well put. They looked like kind peddlers bringing books to a rack. Their eyes—how they twinkled! Their dimples how merry! Their cheeks like Jeff Bezos’s, their noses like sherry! ‘Til his bottle of bourbon fell out on the snow. Threw up smoke of the kind to fire scotch from the heath. I laughed when I saw him, ‘til his stare I felt. And filled all the bookshelves, then turned with a jerk. And giving great nods, passed around the Four Roses. Then each turned as one to read an epistle. And, of course, Happy New Year and a healthy joyful 2014. 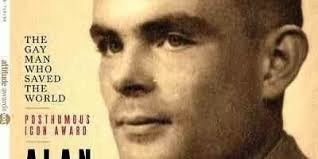 Alan Turing OBE, FRS was granted a Royal Pardon this week. His crime? Being homosexual. When he was convicted of Gross Indecency in 1952, he was given the choice of imprisonment or probation. 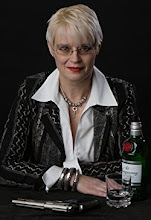 A condition of probation was to undergo a course of chemical castration by injections of synthetic oestrogen to render him impotent and remove his libido. 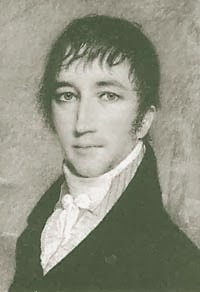 He died of an overdose of cyanide two years later. Two weeks before his 42nd birthday. The pardon process was started with an internet campaign, and in September 2009, British Prime Minister Gordon Brown apologized on behalf of the British government for "the appalling way he was treated." 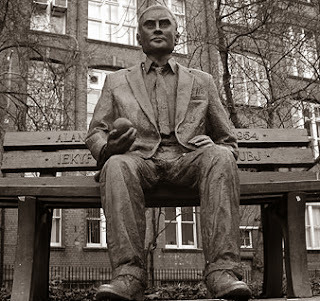 In May 2012, a bill was put before the House of Lords to grant Turing a statutory pardon. But in July 2013,the government opted for a pardon under the royal prerogative of mercy on 23 December 2013. The man was a genius in his the field of mathematics and he seems to have been a charismatic and intriguing one. 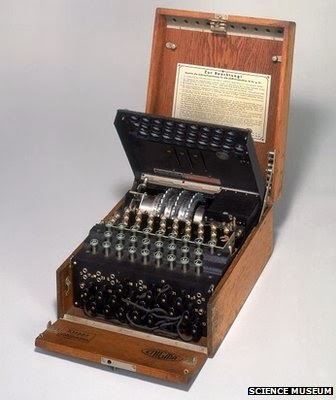 He is best known for being a key part in the team that broke the enigma code. This work is reputed to have shortened the second world war by two years. The fact that his work has been kept restricted for over 70 years shows its importance. The team based at Bletchley Park made five major advances including decoding the indicator procedure the German navy used at the time, and (too late to be used in the war) a portable voice scrambler, codenamed Delilah. 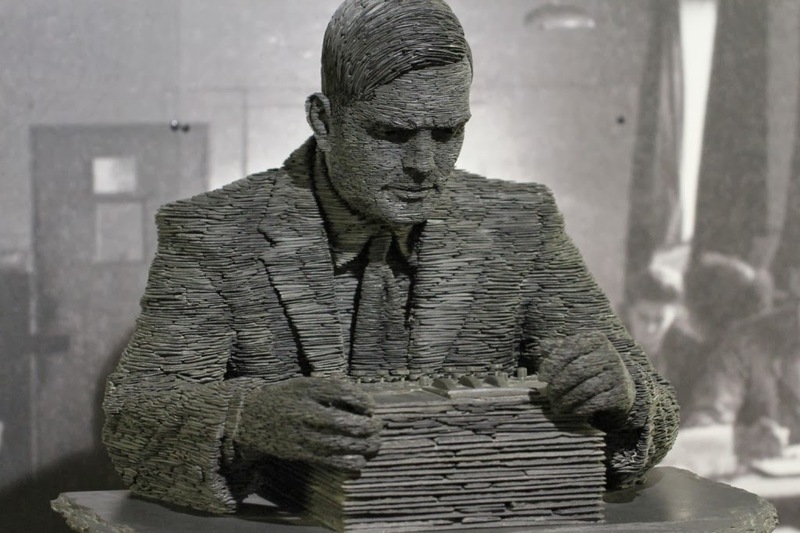 Turing's papers from this period have titles like, “ Report on the applications of probability to cryptography” and “Paper on statistics of repetitions”. 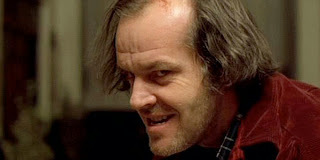 Or, as he once said, 'from a contradiction, you can deduce everything'. Food for thought for us crime scribblers. Turing’s genius ranged from mathematics to cryptanalysis to computer science. 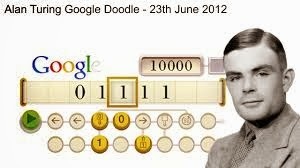 None of us would be tapping a keyboard to make the magic on the screen it if were not for Turing. 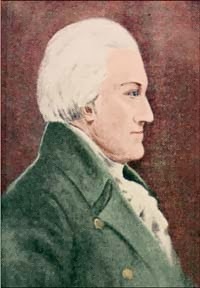 He was educated at Cambridge University, the National Physical Laboratory, the University of Manchester and Princeton University. His Thesis was on Systems of Logic based on Ordinals (1938) which sounds pretty impressive to me. But recall that I am the blogger that took a month to find the on switch on my new tablet/hybrid/thingy which I don’t even know the name of. 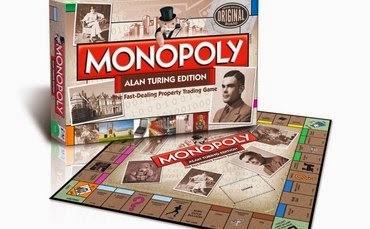 Turing’s dad Julius, worked with the Indian Civil Service but he and his wife Ethel agreed that their children should be brought up in England. Young Alan soon showed signs of being a brain box with that steely determination (or madness) usually associated with those who are 'very good at things'. When he was 13, his first day of term coincided with the 1926 General Strike in Britain so he just cycled the 60 miles to school, spending the night at an inn. He did this on his own (at 13!). Being very good at mathematics gave his teachers at a school (which was founded on a more classical education) some concern. I found a quote that his headmaster wrote to his parents: "I hope he will not fall between two stools. If he is to stay at public school, he must aim at becoming educated. If he is to be solely a Scientific Specialist, he is wasting his time at a public school". But he was truly gifted and by age 16 he was solving advanced problems In 1928 Turing encountered Albert Einstein's work, had a think and extrapolated from it. 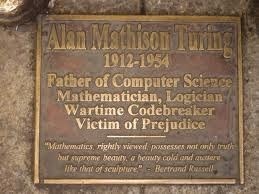 By this time Turing had only been taught elementary calculus! 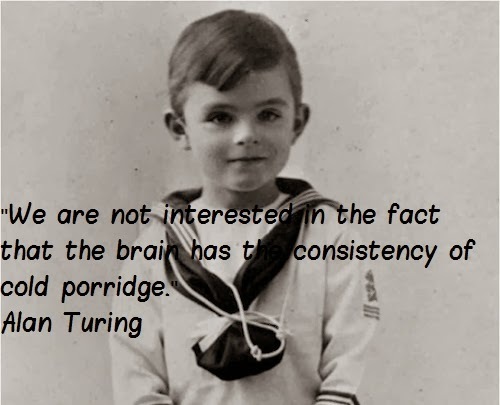 Turing was pleasingly eccentric. In his time at Bletchley Park he would wear a standard issue gas mask to ward off hay fever, he would chain his mug to the radiator pipes to prevent it being nicked. Most interestingly, he was a talented distance runner. He used to run the 40 miles to London when he was needed for high-level meetings. He was also capable of world-class marathon standards. I wonder if he used that quiet contemplation of the distance runner to think. 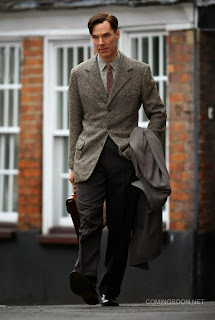 In 1941, Turing had a short lived engagement to a Bletchley park co-worker Joan Clarke. She knew of his homosexuality but was not bothered by it. It bothered him though and he did not go through with the marriage. In January 1952, Turing started a relationship with a 19-year-old man but when Turing's house was burgled and he reported the crime to the police, Turing acknowledged his sexual relationship and was charged with gross indecency. He pleaded "guilty", but never felt any remorse or guilt. He believed he was what he was. Beside his body lay half-eaten apple. It was not tested for cyanide but there has been much speculation that this was how he consumed the fatal dose. It is fascinating that this mega intelligent human being was captivated by the story of Snow White…. especially the bit where the queen is 'changed' to the evil witch…. by the act of eating a poisoned apple. Maybe it is more likely that he died as a result of the accidental inhalation of cyanide fumes from some experimental apparatus that Turing had set in his very small, badly ventilated room. Especially as the some suggest the coroners findings pointed to death by inhalation of the fumes rather than ingestion. There is a film coming out next year, called the The Imitation Game, which stars Benedict Cumberbatch as Turing. Not often I get excited about a film release, but that is one I am looking forward to. At the back of my mind, there is the question.. 42 is life have lived – what else might he have gone on to achieve. The first of Africa’s Big Five animals that I wrote about was my favourite animal, the elephant – full of character, family oriented, with a great sense of humour. The second was my favourite cat, the leopard – beautiful, cunning, difficult to see, and a great tree-climber. The third was my least favourite of the Big Five – the African or Cape buffalo – a surly beast if there ever was one. This week I am writing about the rhinoceros – at least the two species that live in Africa, known as the black rhino and the white rhino. In reality, you will fine that this post is more about people, their greed, their cruelty, and their need to survive. There are five rhino species, three in Asia, two in Africa. Both species of African rhino have two horns – the Asian varieties have one. Eighty percent of the world’s rhino population, which is estimated to be about 25,000, live in South Africa. Another fifteen percent or so live in other African countries below the equator – Botswana, Namibia, Zambia, and Zimbabwe. Within South Africa more than half of the rhinos are in the Kruger National Park and its surrounding protected game areas, which together are about the size as Israel, Wales, or New Jersey. By far the most common of Africa’s rhinos is the white rhino, outnumbering the black by about 9 to 1. The white rhino is a grazer – that is, it eats grass more than anything else. To make this easier, the mouth of the white rhino has flat, or square, lips. The white rhino is much bigger than the black, and can weigh up to 3,500 kg (over 7,500 lbs). It can be up to 4.5 metres long (15 ft), not counting its tail. The male is bigger than the female. The black rhino is smaller – up to 1,600 kg (3,500 lbs) in weight and 3.9 metres (12 feet) long. It is a browser – that is, it eats leaves more than grass. To facilitate this, its lips are pointed. It is more adapted to the drier regions of Africa than the white rhino. In general, African rhinos have bad eyesight and are bad tempered – particularly the black rhino. If you are hiking in the bush and have a chance encounter with a rhino, the conventional wisdom is to keep quiet and not move. If the rhino comes towards you, the advice is the same, although keeping quiet and keeping still are more difficult to do. If the rhino charges, the advice remains the same – yeah, yeah. I have yet to meet someone who can stand still (and quiet) when two to three tonnes of angry meat is charging towards you – with a very sharp point aimed right at you. The idea behind this advice is that the rhino will only be able to see you if you move because their eyesight is not good. If you keep still, and the rhino is not coming directly towards you, it probably will think you are a short tree and trundle by. In reality, the advice given is rarely followed. But to be safe, you don’t have to be able to outrun the rhino, which you can’t. All you have to be able to do is run faster than someone else with you! Of course, everyone knows that the rhino has been in the news, not for its beauty, but rather for the horrendous increase in its slaughter for its horns. Some more background: the rhino horn is not a horn, but rather made from keratin, like hair or fingernails. If removed, it does grow back. Up to 2007, it is estimated that about 15 rhinos were poached every year. Then the numbers started to increase rapidly. In South Africa, in 2010, it is estimated that 330 rhinos were killed. This year, the number will be right around 1,000. Not only is this tragic, but it is also alarming because the death rate is now about the same as the birth rate. Any further increases, will lead to the populations becoming critically small. The demand for rhino horn comes mainly from Vietnam and China. Contrary to popular belief, the primary use is not as an aphrodisiac, but rather either for medicinal purposes or for status. Studies have shown that rhino horn has no medicinal benefits, but the belief in its benefits continues to grow. A gift of rhino horn, either intact, or in powdered form, is regarded very highly. I have been told that in the clubs of Vietnam, it is cool to have and use rhino horn powder – it has become a status symbol. The demand is such that the street price of rhino horn n Vietnam, for example, is in the region of $65,000/ kg ($30,000/lb). This means a big horn can be worth a quarter of a million dollars. Rhino horn, at the moment, is more expensive than gold. So what is being done to slow or stop the killing? First, particularly in South Africa, anti-poaching efforts have grown rapidly. Game rangers have become active in preventing poaching and in hunting down poachers. This is becoming increasingly successful. In South Africa, the number of poachers apprehended has risen from 165 in 2010 to over 300 or so this year. The number of poachers killed has risen to about 50 this year. This number is likely to rise again next year as anti-poaching methods improve, more helicopters are deployed, and those involved get more angry. A sad part of the poaching story is that the poachers themselves are generally local blacks, who are living below the poverty line. They are often doing it for the survival of themselves and their families. Although I do not know how much they earn from bringing in a horn, my guess is that it is very little – but a relative fortune to them. The kingpins of the trade are safely ensconced in Vietnam or China. What is particularly galling is that on several occasions in South Africa, veterinarians have been arrested as being part of a poaching organization – again a horn or two would bring in much more money than a year’s veterinary practice. 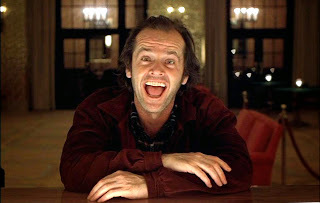 I believe that such people should receive hugely more severe sentences than the people who are doing it for survival. Perhaps cutting off their noses would be a start! Second, countries like South Africa are putting increased pressure on Vietnam and China to get on board against the poaching. They are trying to get the use of rhino horn outlawed in these countries. It seems that some progress is being made, but not enough to slow the number of animals being killed. Third, South Africa and other affected countries are trying to get the trade of rhino horn legalized. The argument is that several countries have huge stockpiles of rhino horn, usually taken from rhinos that have died from natural causes. If these stockpiles are put onto the market, the price of rhino horns would plummet, since supply would be far greater than demand. It would no longer be hip to have rhino horn powder. The profits would disappear, and the need for killing rhinos would diminish. But I suspect these proposals will meet stiff opposition from non-African countries. Whatever the situation, the current practice of using rhino horns is barbaric, particularly because there are no known benefits from a health perspective. From a conservation perspective, the killing of rhinos is tragic. Wishing you all happy holidays and a healthy and happy 2014.